Skunk Works: A Personal Memoir of My Years at Lockheed is a 20 year old book written by Ben Rich, who used to be the head of a mysterious small company called Skunk Works. You might now have heard of the company, but you have probably seen images of a one of their famous products: the F-117 stealth fighter. The history of the Nighthawk, as the F-117 is also called, began almost by accident. This was during the Cold War and one of the engineers at Skunk Works had found a report related to stealth technology written by a scientist in the Soviet Union. No one but the engineer at Skunk Works had cared to read the report and the content of the report described how to use equations to optimize an object's surface so the radar can't almost see it. These equations were complicated and the reason why the Nighthawk is so "squary" is because the computers couldn't make the calculations needed to create a more smoother surface. Modern stealth fighters are more smooth because modern computers have more power. "If you were sitting at an executive meeting at Boeing and Lockheed and you came up with some brilliant idea to reduce the cost of Atlas or Delta, you'd be fired. Because you've got to go report to your shareholders why you made less money. So their incentive is to maximize the cost of a vehicle, right up to the threshold of cancellation." But Skunk Works, who was a part of Lockheed, always tried to optimize their costs - but it wasn't always easy. Ben Rich discusses it in the book and he realized that the government didn't have an account to where Skunk Works could send the money they didn't need anymore. Unknown exactly why - maybe no other company had ever tried to return money before? 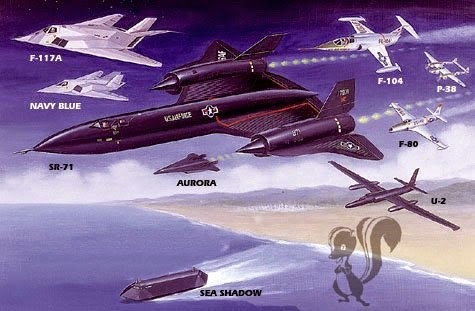 Another waste of money Ben Rich discovered is related to the spy plane SR-71 Blackbird. The original name of the plane was actually RS-71, but when the then US President Lyndon B Johnson revealed the plane to the press he said by accident SR-71 and not RS-71. Lyndon B Johnson was apparently a stubborn man, so instead of publishing a small correction he forced Skunk Works to change the name of the plane to SR-71. 29000 blueprints needed to be changed and it wasn't cheap to do it.